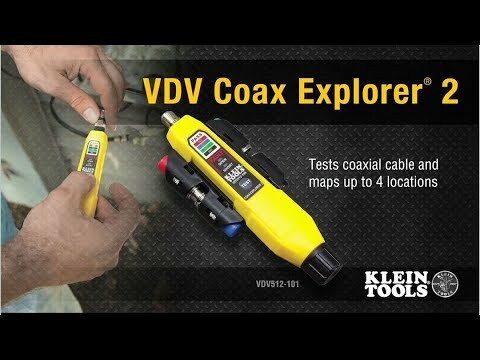 The Klein Tools Coax Explorer® 2 verifies proper continuity of F-connector coaxial cables and maps their location. This tester comes with one (red) remote. The available color-coded remotes (sold separately) allow for up to four cables to be tested and mapped, displaying cable status via LED indicators - PASS, OPEN, or SHORT - that also identify the cable/remote location. This compact tester fits in your pocket.